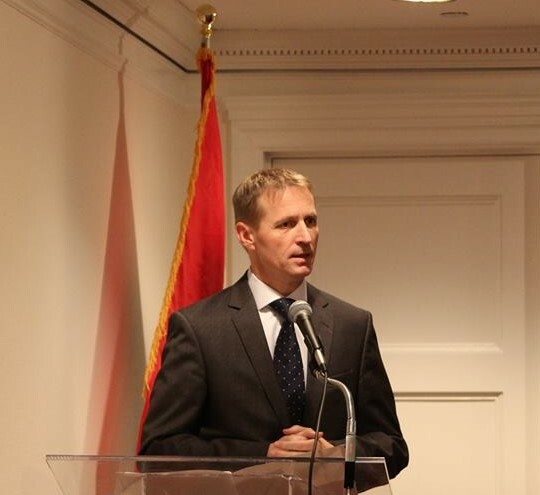 In a highly unusual move Hungary has named István Pásztor to the post of Consul General in New York. In the past Pásztor led Hungary’s civilian intelligence services in the rank of general. Mr. Pásztor as Hungary’s Consul General in New York. It is puzzling that the Orbán government has appointed a professional soldier, who started his career in Hungary’s military intelligence before moving to civilian spying, to this diplomatic post. In addition, practically nothing is known about him. No bio was published. From an earlier parliamentary hearing we learned that Pásztor’s agency collected massive amounts of personal information about individuals related “to economic and energy security.” I would not be surprised if Pásztor would utilize this expertise in his new job and collect personal information primarily about the Hungarian Diaspora in the United States. 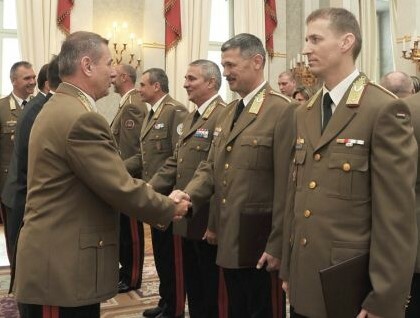 General István Pásztor (far right in uniform) as Hungary’s top spy. The Orbán’s regime is getting paranoid; they see enemies – they call them “Soros agents” – everywhere. Hungarian diplomats and their lobbyists were ordered to search for new “friends” who would act as “lobbyists” for the regime. Another important task of Hungarian diplomats in the US is to crush media criticism of Orbán and stifle dissenting voices among Hungarian Americans. I have a feeling that after Pásztor’s appointment many Hungarian Americans will think twice before contacting diplomats of the Hungarian Consulate in New York. You may never know where your personal information may end up. 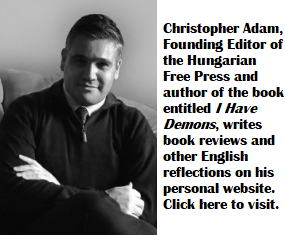 Now this claim made me, and am sure any one could also ask, just why would any one, any American who may have any Hungarian background” contact the Hungarian delegation in the US or any where????? Now that sure sound a bit…well, let just say far outlandish. Really surprised the author did not allege instead, that Orban helps the Russian NSF to replace Putin’s agents in NYC. Or perhaps it is just a routine appointment of a career government worker. As for your personal info? Common! Google, Facebook et al are taking very good care of that! This ain’t the 1980’s anymore! If pink snow falls on NY, if the world ends, if Africa is flooded out, all these items depict nonsense. Why try to demonize the new Counsel General? Lazar is so leftist, there is nothing nice he could say about Hungary, the government, its people. All this is because Hungary barred illegal aliens. Lazar, to this date, cannot admit that it was the right thing to do, there is no crime by illegals and the country does not have to pay extra welfare. This appointment seems no more unusual than the horde of unqualified donors et al. that the nincompoop in the White House has been appointing to ambassadorships and Cabinet positions. What we know, Orbán is the best in hating and he is vindictive. What we also know, Hungary but not only, are easily to influence. In the past, stasi time, you were not sure if your own son was spying on you … was´t Orbán´s father in law in the secret service?